For the first time in a long time, parts of Florida are actually experiencing winter-like weather. Typically, when the rest of the country is dealing with snow, ice, and freezing temperatures, Florida residents are still fortunate enough to bask in weather warm enough to enjoy their backyard swimming pools. But this year, there have been several cold spells in which it was not only too cold to swim, but some pools may have actually iced over. The problem with winter weather in Florida is that we aren’t equipped to deal with it. Unlike places like Minnesota or New England, we don’t have a lot of snow removal equipment or huge stores of road salt to clear the streets when it snows. Our pools also aren’t designed to withstand long stretches of freezing temperatures. So on the rare occasions when it happens — such as this year — it is more likely to cause damage to the pool surface. 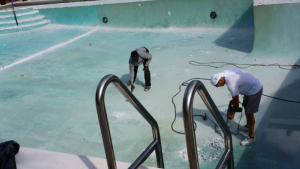 Your pool can sustain damage due to cold weather whether you have drained it or not. If the pool is empty, frost and ice can cause the wall surfaces to crack or pit. And if your pool was still full of water when it froze, the water could have expanded as it turned to ice, causing even more damage. 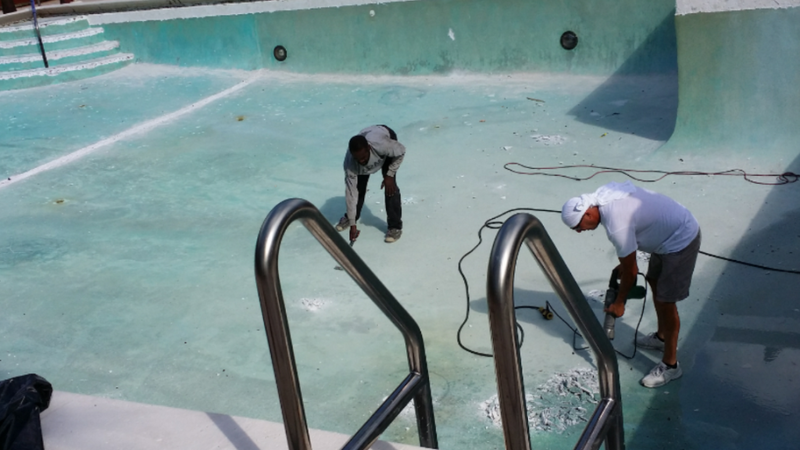 In some ways, winter pool damage in Florida is kind of like the seasonal flu: If one person gets it, everybody is getting it. If your pool froze and suffered damage to the wall and floor surfaces, it’s a good bet your neighbors’ pools did as well. That means that once the weather returns to normal, pool companies are going to get a tsunami of repair calls. So if you want to beat the rush and be the first in line, the time to call Eagle Pools is right now.